Fiji markets and traditional shopping. Markets in Fiji. 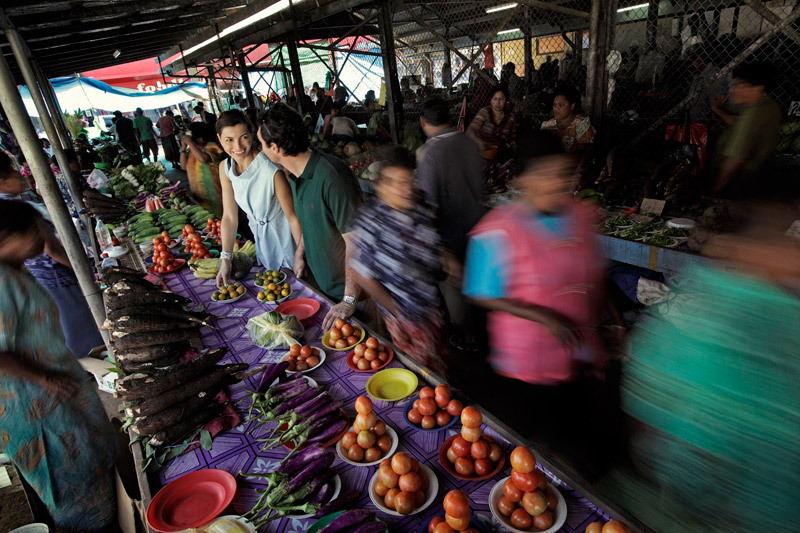 When visiting a traditional marketplace in Fiji you’ll delight in complete sensory overload – the aromas of different herbs and spices, the sound of several languages being spoken at once, the sight of vibrant flowers and the freshest seafood straight from the ocean, and the taste of the sweetest, fresh fruit and locally grown vegetables. 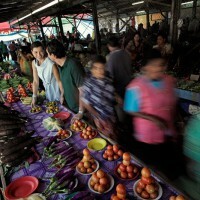 Local markets are an example of Fiji at work. Farmers bring their crops of seasonal vegetables, herbs and fruit to sell not only to the locals, but also the resort kitchens. Why not indulge in a freshly squeezed juice made from a pineapple picked that very morning – you can’t buy that from Coles or Woolies (Aussies will understand the reference)! When wandering around the markets you’ll be fascinated by the variety of goods on sale, including local raw tobacco. Or why not take some time out to people watch from one of the local restaurants or cafes flanking the market stalls. Enjoy a cup of Fijian tea and sweet cream bun and enjoy the passing parade as people go about their daily lives. Markets are also a great place to purchase locally made handicrafts. The offerings on sale can differ around the country depending upon what handicrafts are produced in the region. For example some districts are famous for their pottery and tapa cloth, whilst others specialise in weaponry (!). 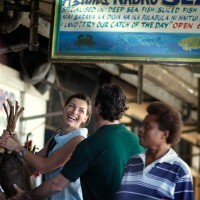 Traditional Fiji market tours and excursions can be arranged through us or from your resort or hotel. You may also choose to self-drive. When booking your holiday, be sure to ask us about what markets located close to your resort and the best day trips on offer. 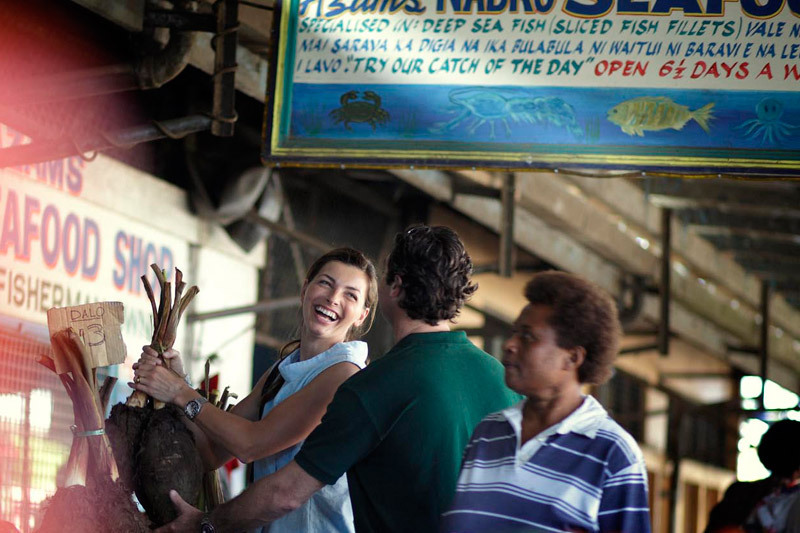 We can incorporate day trips and transfers to local markets into your Fiji holiday package.